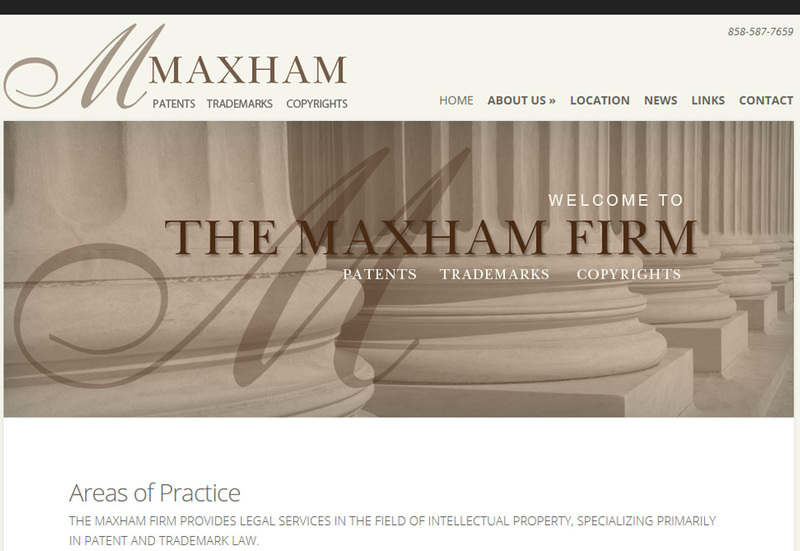 Maxhamfirm.com is a web site for the Maxham Firm. They are a San Diego based provider of legal services in the field of intellectual property, specializing primarily in patent and trademark law. We managed and hosted their original site which was extremely limited in both scale and content. The new site is a low cost custom styled WordPress based site and is a vast improvement over their previous one.